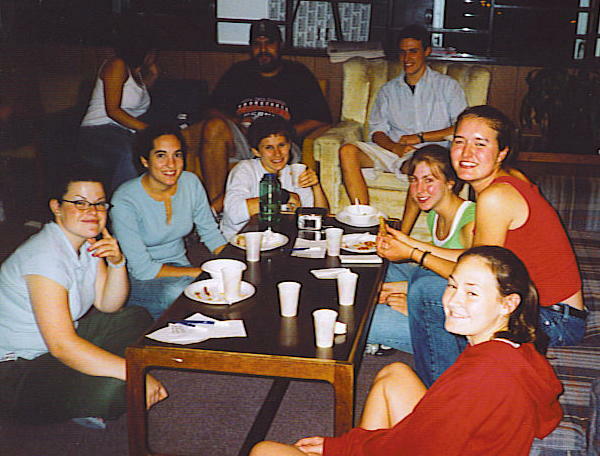 On Friday, September 17, 2004, TLC held a “mini” retreat in the Catholic Center during the evening. Many activities we prepared for us that incorporated both team-building, and spiritual reflection. The theme of the retreat was “Being a College Catholic.” First, we had a delicious meal over conversation, and we were able to get to know some new faces. We then played a little game entitled “The Dating Game” in which we scheduled “dates” with each other, and conversed, in pairs, about certain topics. 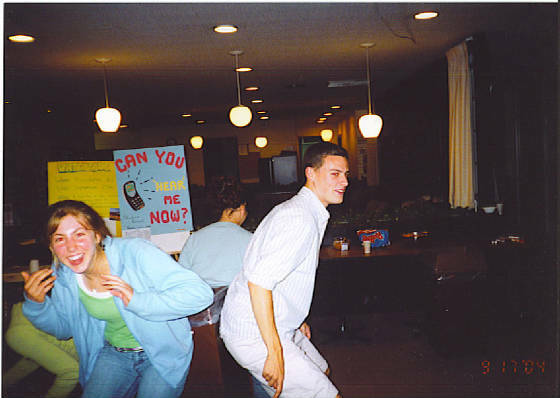 Next, we did some team-building activities, which consisted of working together as a team to accomplish certain tasks that we were given to us. Yes, this involved carrying trashcans around the room with out using our hands; it was a tremendous group effort! After a few more icebreakers, we broke off into smaller groups and discussed a passage from the Bible entitled “The Vine and the Branches,” and further collaborated on what we can do as a community of college Catholics to follow Jesus’ command for each other and others. Lastly, we came up with a list of goals for our leadership council that we are going to aim towards achieving as a group this year. This was a fun-filled evening that was a perfect combination of good ole’ bonding and connecting with one another on a more spiritual level.